You’ve heard of Amazon, right? In all seriousness, there’s no doubt you’ve heard of the ecommerce giant. Amazon is now the most valuable company in the world, having grown its wealth by nearly 50% since this time last year. It’s ranked at or near the top of Nielsen’s reputation rankings since at least 2014. And it sees nearly 197 million monthly unique visitors in the US alone. As the owner of an ecommerce business, if you’re not using Amazon to sell your products, you’re missing out on a ton of potential business. For starters, the sheer breadth of Amazon’s reach is incredible. For fledgling entrepreneurs, as well as those looking to spread awareness of their brand to new customer segments and territories, gaining a presence on Amazon can be one of the quickest ways to make it happen. Add to that the fact that those who use Amazon to search for products are actively looking to purchase said products! In other words, Amazon’s users aren’t just passersby or window shoppers, so you have a much greater chance of getting them to make a purchase than if you were to catch their attention on, say, social media. Now let’s dig into how to actually get started using Amazon to gain traction for your ecommerce business. Getting Started on Amazon: What Should You Sell? Actually, I lied. Let’s back up a bit. If you’re just getting started in the world of ecommerce - to the point that you don’t even have a product in mind yet - that’s totally fine. In fact, you may benefit from starting your Amazon adventure before you’ve settled on a product, for reasons we’ll discuss throughout this section. So, let’s take a look at how using Amazon can actually help you decide on a product (or group of products) to sell. Let’s say you’ve brainstormed a list of possible products you’d like to sell, or niches you’d like to enter in general. In this case, you’ll want to head over to Amazon and plug these (rather broad) keywords into the search function, which will allow you to assess the validity of your idea. As you can see, over 1,000 results pop up across Amazon’s various departments. 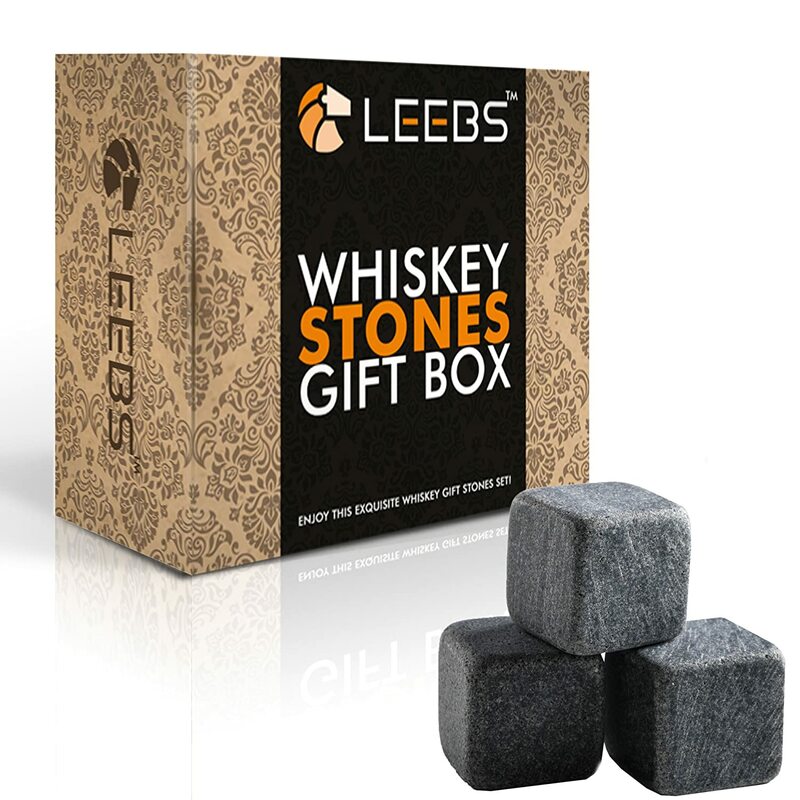 Translation: Selling whiskey stones would mean you’d have a lot of competitors - many of whom are established Amazon sellers. Needless to say, selling this product would mean a lot less competition for you - perfect for those who are just getting started. Now, this isn’t to say that you want to use your brainstormed search terms to find the exact products you want to sell. Rather, the purpose here is to validate a potential niche by looking for product categories and keywords that aren’t saturated - but also aren’t desolate, either. Once you’ve narrowed down your scope, and have brainstormed a subsequent list of items related to the non-saturated niche you found while browsing Amazon, your next step will be to assess whether selling a related item is a viable idea or not. First, head over to Keepa, a tool for analyzing the pricing and sales history of products on Amazon. Obviously, you want to find products that have been selling well - both historically and recently. Additionally, you want to know that your product of choice will provide great potential in terms of your profit margin per sale - or if it won’t even be worth it to market your product idea in the first place. Additionally, you’ll want to check the Amazon-based search volume of your potential product to know whether or not people are actually using the platform to search for said item. To take this a step further, you can then compare the sales figures you found on Keepa with these search volume numbers to assess the searcher’s propensity to actually purchase the item. For example, if the search volume for an item is high, but its sales numbers are comparatively low, you probably don’t want to focus on trying to sell this product. Anyone can pick any old product to sell, post it up on Amazon, and keep their fingers crossed. Sure, they might make a few sales here and there - and they might even make more than that. But without proper branding behind their products, they’ll have little to no chance of being remembered by the people who purchased from them. That means no rabid following, no retention, no evangelism. And it also means spending way too much time, money, and energy on chasing new leads. That said, once you’ve found a product that has great “on-paper” potential - that is, a high search volume, good sales numbers, and low competition - you’ll want to consider whether you can build an actual brand behind the product in question. To be sure, all products are “brandable” - as long as you know what to focus on. While we’ll talk about differentiating your product through improved functionality in a bit, our focus here is on the fact that each (or rather, most) of the products listed above come from different brands - and you can tell it just by looking at them. You do not want the product you offer to be indistinguishable from the ones your competitors offer. Aside from the logos used, it’s pretty clear that each of these products is essentially the same. In fact, there’s a decent chance they all come from the same manufacturer. 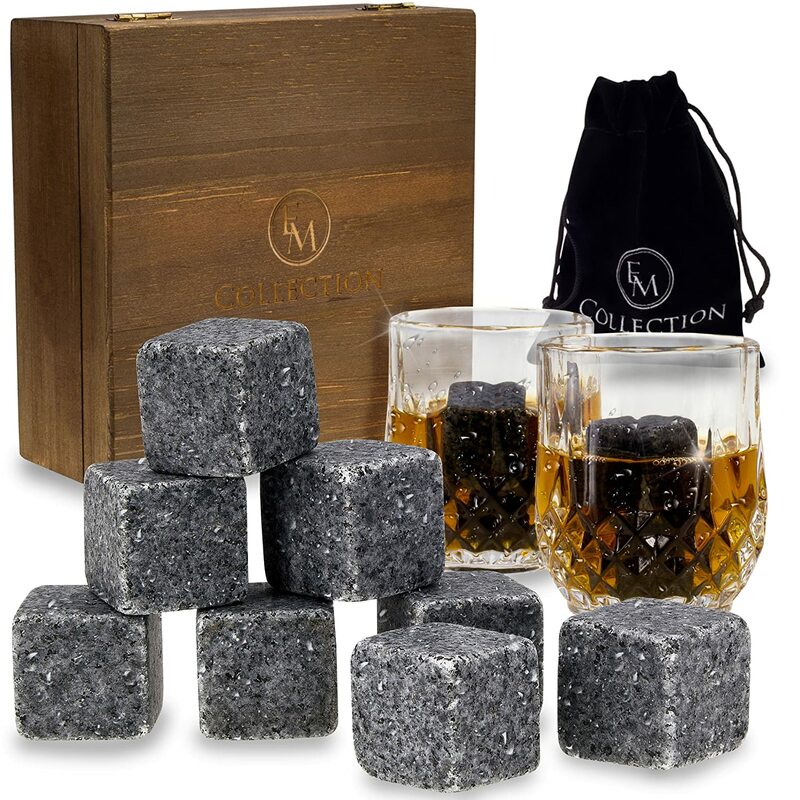 The mere fact that this whiskey set comes in something other than a wooden box may be just enough to make this brand stand out from the rest of the pack. While you’ll certainly want to work on finding other ways to differentiate your brand over time, doing just enough to catch the eye of your first few customers will definitely help you get started. Of course, unique branding and packaging isn’t the only way to differentiate your product from your competitors’. While different packaging likely will allow your product to stand out a bit, if, at the end of the day, your product is basically the same as everyone else’s, you’re eventually going to blend in with the crowd. With that in mind, you’ll want to take a deep dive into your competitors’ product pages, looking for specific ways in which you could truly improve on their offering - in turn improving the value you bring your target customers. Do you see what this brand offers that the ones from above don’t? Tongs. Plain ol’ metal tongs. 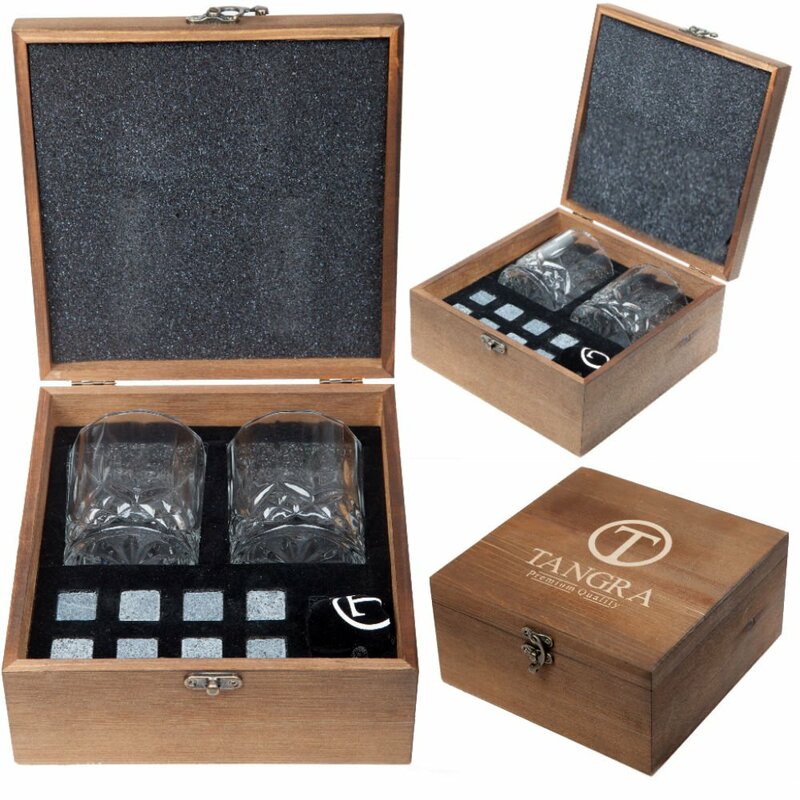 It’s a pretty simple change - but it’s all but guaranteed that it makes a difference to first-time buyers of a whiskey set. While sometimes this differentiating feature will pretty much jump out at you (as in the example above), other times you’ll need to dig a bit deeper. In these cases, you’ll want to look through your competitors’ reviews to see what their customers are saying about their products. Look for instances in which multiple customers make the same suggestions, or have the same complaints - these are areas you can focus on to make your product stand out not in a mere superficial manner, but in a way that provides added value to your customers. The above review for a remote dog training collar is a perfect example of a useful review that can help inform your product development. Not only does the reviewer explain what they do like about the competing product, but they also explain what they don’t like; it’s in these “cons” that your opportunity lies. Choosing a Fulfillment Method: FBA or FBM? As we briefly mentioned in the intro of this article, sellers on Amazon are given the option of using the company’s fulfillment services, or taking control of fulfillment themselves. Since there are benefits and drawbacks of using either method, it’s important that take the time to decide which makes more sense for your business right now and in the future. Using Fulfillment by Amazon (FBA) essentially places all fulfillment responsibilities into Amazon’s hands - from storage to delivery, and beyond. Those who use FBA ship their products to Amazon, where they will be stored in inventory until a customer places an order. Once an order is placed, Amazon will then package and ship the item(s) just as it does its own products. Additionally, Amazon handles customer service and support regarding delivery, returns, and refunds. There are a number of benefits to using FBA for startups and growing companies alike. The most obvious benefit is that, since Amazon takes care of all things fulfillment, you can focus on all the other aspects of running and growing your business. Additionally, those who use FBA can provide their customers with all the shipping options Amazon typically offers - including free two-day shipping to Prime members. In this same vein, Amazon shoppers typically expect to receive Amazon-quality service in terms of delivery, so using FBA will give you a competitive edge against your competitors who fulfill orders internally. Those who use FBA also have a better chance of winning the Buy Box - making their product stand out even more. However, while you may be saving money upfront by not having to ship individual orders yourself (paying for the cost of shipping, etc. in the process), you might end up spending more in the long run, as Amazon charges a number of fees for those using FBA. For one, Amazon charges a flat and weight-based fee for each order the company fulfills for you. Additionally, the company charges both short- and long-term inventory fees, as well. As is to be expected, these fees fluctuate over time, so you’ll need to keep tabs on these changes to ensure you’re not overspending in this area. Another downside of using FBA is that your product will be delivered in Amazon-branded packaging, which can detract from the branded experience you intend to provide your customers. At any rate, FBA may be the best bet for companies with large product catalogs and quick turnarounds - as well as established companies that can afford the additional fees Amazon charges without breaking the bank. Your other option is FBM: fulfillment by merchant. Essentially, this means you’ll be responsible for the entire fulfillment process, from storing inventory to shipping orders, as well as dealing with returns and other logistical services. On the plus side, you’ll be able to design the packaging of your products - allowing your brand to shine through before your customer even unboxes their order. 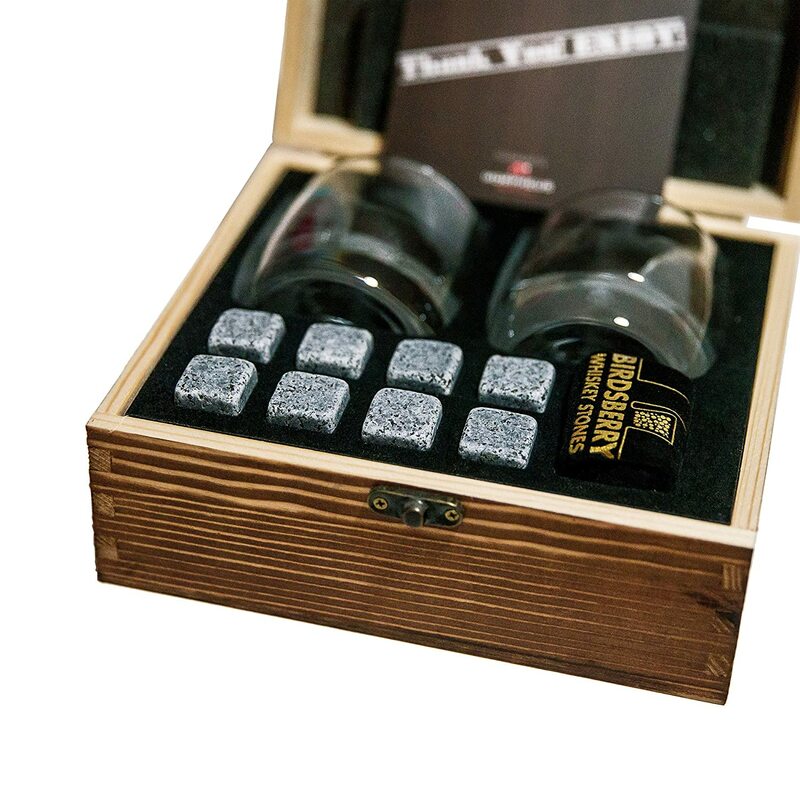 Additionally, you can include some little “nice to haves” in your shipments, such as handwritten thank you notes or other personalized items. The other main benefit, of course, is in not paying additional fees to Amazon for storing and shipping your products. For fledgling companies that may be strapped for cash, or companies that have a slow turnaround, fulfilling orders by hand may be the better option (at least for the time being). Of course, the main disadvantage of manually fulfilling orders is...well...that you have to manually fulfill each order you receive. This means you’ll be spending a ton of time boxing up your products, lugging them to the post office, waiting in line, etc. If a problem arises, you’ll also be 100% responsible for mitigating the issue. The other downside is that, as mentioned, Amazon customers typically want to receive deliveries from Amazon. In other words, potential customers may be hesitant to purchase from you once they notice that you’ll be fulfilling the order yourself. As mentioned, FBM may be the best option for bootstrapping companies that don’t have the extra cash to spend on inventory and delivery fees - and that have the time (and energy) to fulfill orders by hand. Companies that dropship their products, of course, should go the FBM route - since their supplier is inherently responsible for inventory and delivery in the first place. Okay, so we’ve gone over the preliminary steps to take when preparing to sell your products on Amazon. Now we need to discuss how to gain visibility and actually generate sales through the platform. It’s worth noting that SEO and conversion rate optimization go hand-in-hand on Amazon, in that the system’s algorithms take into consideration clicks and conversions when ranking products for specific search terms. The more visible your products are, the more clicks (and hopefully conversions) they’ll get; the more clicks and conversions they get, the more visible Amazon will make them. It’s a virtuous cycle, of sorts. Of course, it could also be a vicious cycle if your products don’t attract attention or sell poorly. But we won’t let that happen. Here, we’ll discuss how to optimize your product pages and other aspects of your Amazon presence in order to maximize the amount of visibility and number of sales you generate. A high-quality product title is incredibly important for getting the attention of both potential customers and Amazon’s algorithms. When introducing a product to Amazon, you’ll want to start by using niche keywords with low competition, as this will help your product get discovered by high-interest buyers (beginning the virtuous cycle we discussed above). While niche keywords typically see a lower search volume than more broad keyword phrases, the people who do use these more specific keywords are more likely to make a purchase than those using broad search terms. As you generate more and more engagement, sales, and positive product reviews, you’ll want to revisit your product title, editing it to target keywords with higher competition and larger search volumes. Since your sales numbers prove your product’s value to Amazon’s algorithms, and your positive reviews prove the same to potential buyers, you’ll have a much better shot at ranking for these highly-competitive keywords and phrases. One thing to note with regard to product titles is that Amazon suppresses titles of over 200 characters in length (even though you technically can go over this limit). However, it’s advised that you try to keep your product titles to at most 80 characters. Amazon also allows you to tag products with “backend keywords,” which essentially work the same as meta tags for websites. That is, while backend keywords aren’t visible to Amazon shoppers, Amazon’s algorithms use them to further categorize and rank the product in question. When adding backend keywords to a product’s description, you’ll want to include relevant and valuable phrases that don’t appear in the product’s actual title (or in the product’s description, which we’ll discuss momentarily). You might consider using synonyms (such as “sunblock” or “suntan lotion” if your product title includes “sunscreen”), or words that further describe your product (again, that aren’t used elsewhere on your visible product page). With regard to backend keywords, there are actually more “don’ts” than “dos.” So, you’ll want to be very careful when adding backend keywords to ensure you’re following Amazon’s guidelines. Whether looking for the best customer-facing or backend keywords, you can use tools such as SellerApp to help you generate the most visibility for your products. Remember, though: while you do want to “appease” Amazon’s algorithms, your main concern should always be to use keyword phrases that your human customers would actually use as they search for the products you offer. The product description area gives you an opportunity to bring your product to life in the eyes of your potential customers. Product descriptions on Amazon are actually broken down into two sections. One area is specifically meant for bullet points, while the other can be a combination of bullet points and more descriptive prose - and even images. Regarding the first section, you can include a maximum of five bullet points. You’ll want to limit each bullet point to around 150-200 characters, packing the benefits of your product into each point (while linking these benefits to the product’s features). As for the more in-depth section, you’ll have roughly 1,900 characters to work with (it’s actually limited to 2,000 bytes of data). This gives you a chance to flex your copywriting muscles a bit, but you should definitely avoid being wordy. Again, discuss how your product will add value to your customer’s life, explaining how certain features of your product add this value. In both sections, be sure to use the keywords you’ve discovered to be most valuable throughout. Again, though: avoid repeating keywords multiple times, and remember to use them in natural manner. Keyword stuffing won’t trick Amazon’s algorithms - and even if it does, your potential buyers will navigate away from your page if your copy is unreadable. Regardless of where you’re selling your products, strategic pricing is essential in order to generate sales and maximize profits. On Amazon, optimizing your pricing also plays a role in how your product ranks for relevant search terms - and it also influences your chances of winning the buy box. That said, while strategic pricing is always important, the stakes are even higher when selling on Amazon. At any rate, we’ve discussed proper ecommerce pricing strategies here on our blog before, so let’s quickly go over some of the main points to consider in finding the optimal price for your products. Perhaps the main thing to point out is that you absolutely should not look to simply undercut your competitors. First of all, they could react by simply doing the same - beginning a “race to the bottom” that could ultimately cause your niche to bottom out completely. Secondly, your potential customers might see your lower price and assume this means your product is “cheaper” (read: not as valuable) as your competitors’; in that case, they’ll likely spend a little extra in favor of receiving what they perceive to be a better product. Finally, by undercutting your competition, you inherently decrease the revenues you generate per sale - which is essentially the opposite of what you should be doing. If you’re just getting started in the world of ecommerce overall, you probably want to use a dynamic pricing strategy - at least for the time being. With dynamic pricing, you’ll be assessing a number of different factors within your industry, and also in terms of your brand’s standing within your industry. Dynamic pricing allows you to strategically adjust your pricing based on real-time factors in an effort to find the optimal price that maximizes your target’s propensity to make a purchase while also maximizing your profit per sale. While you can implement dynamic pricing manually, it definitely is a rather involved process - and one that must be revisited regularly. That said, your best bet would be to invest in dynamic pricing software that will allow you to streamline the process. As you become more experienced in your niche, and begin to gain a better understanding of the perceived value of your product in the eyes of your target consumer, you’ll want to begin implementing a value-based pricing strategy. Basically, value-based pricing seeks to answer the question: “How much are my customers willing to pay for my product?” It’s a bit like dynamic pricing, in that it considers external factors before looking at things like Cost of Goods Sold, your sought-after profit margin, etc., but it focuses squarely on seeing your product from the eyes of your customer. If you can figure out the exact price your customers are willing to pay for your product, they’ll almost have to force themselves not to pull the trigger. We’ve also gone in depth on our blog in discussing product photography, so we’ll just go through a few Amazon-specific strategies to implement, here. You should aim to include at least nine photographs of your product within your Amazon listing. This will provide you with multiple opportunities to include studio photos, action/lifestyle shots, and photos from multiple angles and levels of zoom. By covering all the angles (literally and figuratively), you allow your potential customers to gain a true understanding of what your product looks like and how large it is, and to focus on specific features of it, as well. In terms of quality, your main product photograph should be at least 2000px, while the rest should be at least 1000px. Finally, your photos should be saved as either JPG or TIFF files. We alluded to this a bit earlier, but it’s worth diving a bit deeper into the notion that having customers and prospects be actively engaged on your product pages is incredibly beneficial for you in terms of Amazon SEO. Again, the more click-throughs and conversions you generate, the more Amazon’s algorithms will trust that you’re selling a quality product. But you also want to get your customers to engage in other ways, as well. Mainly, you want to generate (positive) product reviews, as well as questions (and answers) regarding your product or any ancillary services you provide. Not only do these engagements increase Amazon’s “trust” in your product’s (and your brand’s) quality, but they also serve to enhance your target customers’ trust in your brand, as well. Obviously, the more positive reviews you generate, the better you’ll look in the eyes of your customer. Regarding FAQ, by being responsive to your customers’ inquiries, you prove to potential customers that you care about more than just making a sale - you want to provide value to the people who keep your business running. Finally, generating reviews and soliciting questions from your customers and prospects will allow you to learn more about what your customers want and/or expect from you. In turn, this enables you to make improvements to your product and customer support initiatives moving forward. While your main focus when selling on Amazon is to...well...focus on improving your brand’s presence on Amazon, you’ll also want to put some effort into bringing potential customers from other areas on the web to your Amazon product listing pages. Basically, once you’ve optimized your presence on Amazon, you’ll want to enhance the chances that interested consumers will actually be exposed to your presence on the platform in the first place. Again, the more engagement from high-intent consumers you generate, the better it’ll be for your business. Hopefully, this guide has provided you with enough info to help you get started with selling on Amazon - and then some. As we said, Amazon is quite literally full of people specifically looking to make a purchase; we’d be willing to bet that 99% of individuals browsing Amazon right now are either currently in “buying mode,” or are at least browsing around with the intention of making a purchase at a later date. If you can catch their eye by standing out among the sea of other available products on the platform, you’ve pretty much got it made.